Looking to satisfy your appetite for African fare? 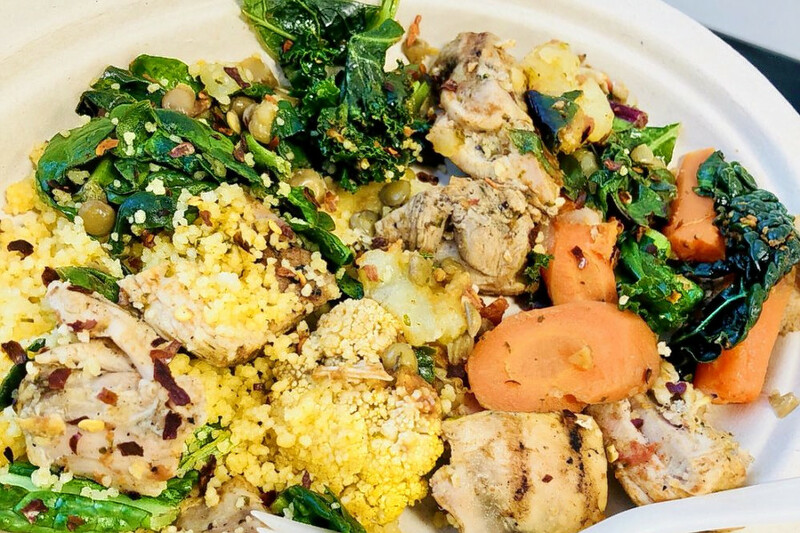 Hoodline crunched the numbers to find the top African restaurants around San Francisco, using both Yelp data and our own secret sauce to produce a ranked list of the best spots to venture when cravings strike. 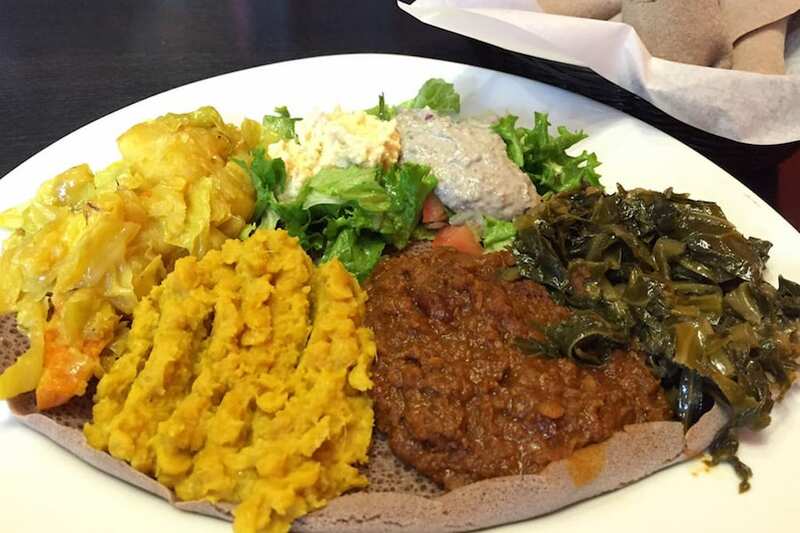 Topping the list is Tadu Ethiopian Kitchen, a family-owned restaurant that features an open kitchen so diners can see "where the magic happens," Tadu says on its website. 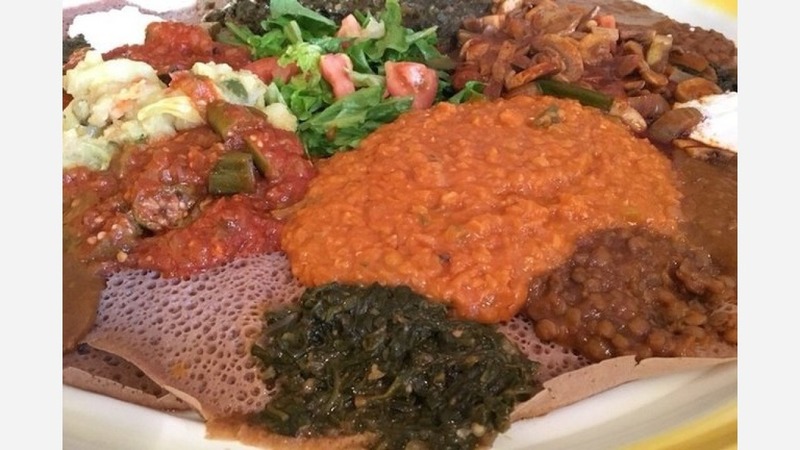 Located at 484 Ellis St. (at Leavenworth Street) in Tenderloin, with a second location in Mission Bay, the Ethiopian spot is the highest rated African restaurant in San Francisco, boasting 4.5 stars out of 533 reviews on Yelp. Featuring a varied menu, it offers several vegetarian options including a vegetable medley with mushrooms or eggplant and a stew of ground chickpeas, onions, tomatoes, ginger and garlic. For meat eaters, there's beef, chicken or lamb sauteed with spices and vegetables. Wash down your meal with Ethiopian coffee, telba (a cold drink made with flaxseeds and honey) or spicy hot tea. Next up is Bayview's Radio Africa Kitchen, situated at 4800 Third St. (at Oakdale Avenue). With 4.5 stars out of 304 reviews on Yelp, the Moroccan and Ethiopian spot has proven to be a local favorite. The bright, casual restaurant, which offers live music on Tuesdays, was founded by Ethiopian native and chef Eskender Aseged. On the menu, look for saffron chicken, Ethiopian stew, seared ahi tuna with a chermoula relish, and a black lentil and red cabbage salad. 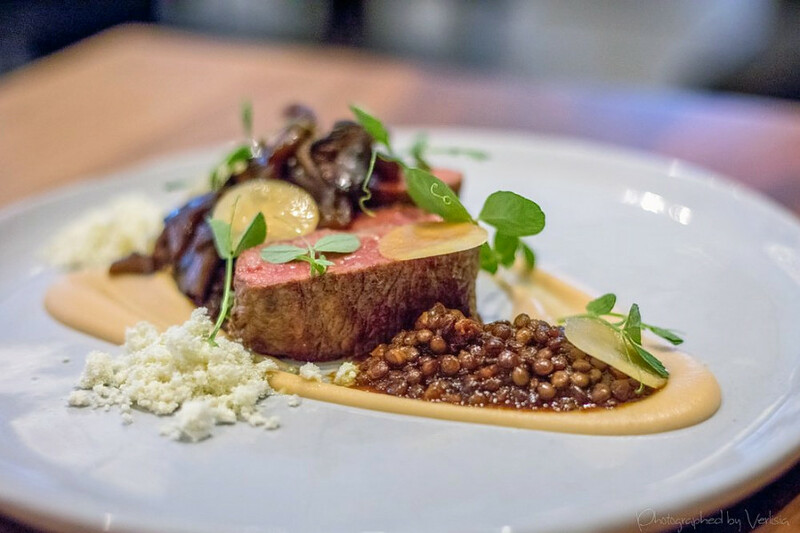 SoMa's Mourad Restaurant, located at 140 New Montgomery St., Suite 1, in the PacBell Building, is another top choice, with Yelpers giving the upscale restaurant four stars out of 745 reviews. With its modern interpretation of Moroccan cuisine, Mourad combines the flavors of North Africa with locally sourced ingredients. For dinner, standouts include smoked sturgeon with caviar, salmon with chickpeas and mint, and branzino with root vegetables, tarragon and saffron. The East African Massawa Restaurant in North Beach is another much-loved go-to, with 4.5 stars out of 209 Yelp reviews. 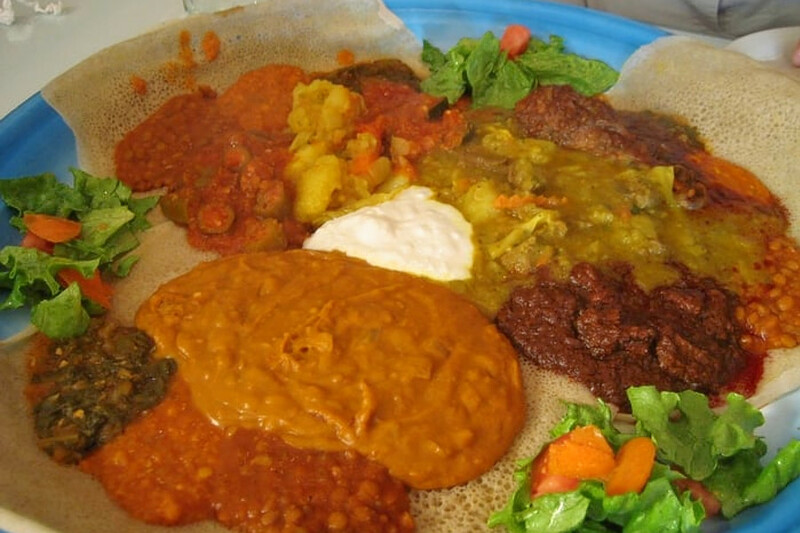 Head over to 532 Green St. (between Jasper and Bannam places) to try a variety of Eritrean and Ethiopian dishes. Start off your meal with veggie or meat sambusa (stuffed pastries) or lentil and spinach soup. For dinner, there are several vegetarian and meat options, including a tomato-based mushroom stew, sauteed tilapia and cubed beef with clarified butter, onions and tomatoes. Brunch is offered daily until 4 p.m. and features French toast, buttermilk pancakes and eggs Benedict. Over in Inner Sunset, check out New Eritrea Restaurant & Bar, which has earned four stars out of 664 reviews on Yelp. You can find the East African spot at 907 Irving St. (between 10th and 11th avenues). On the menu, look for Eritrean favorites like marinated chicken drumsticks simmered in clarified butter, onions, tomatoes and red pepper sauce, savory lamb cooked in a turmeric sauce or vegan options like a seasoned mix of potatoes, carrots and cabbage. And then there's Assab Eritrean Restaurant, an Inner Richmond favorite with four stars out of 647 reviews. Stop by 2845 Geary Blvd. 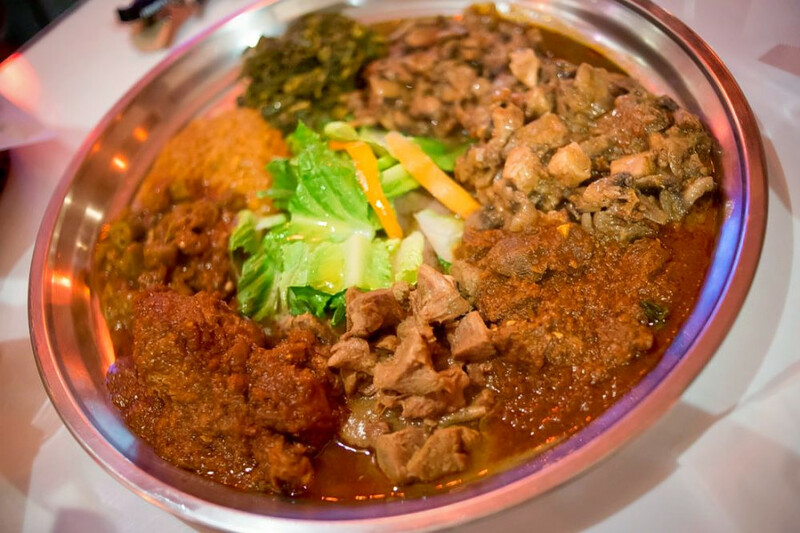 (between Collins and Wood streets) to hit up the affordable East African spot that offers an inventive menu and several house specialties, including an okra stew and bone-in chicken simmered with onions, tomatoes and seasoned hot pepper. 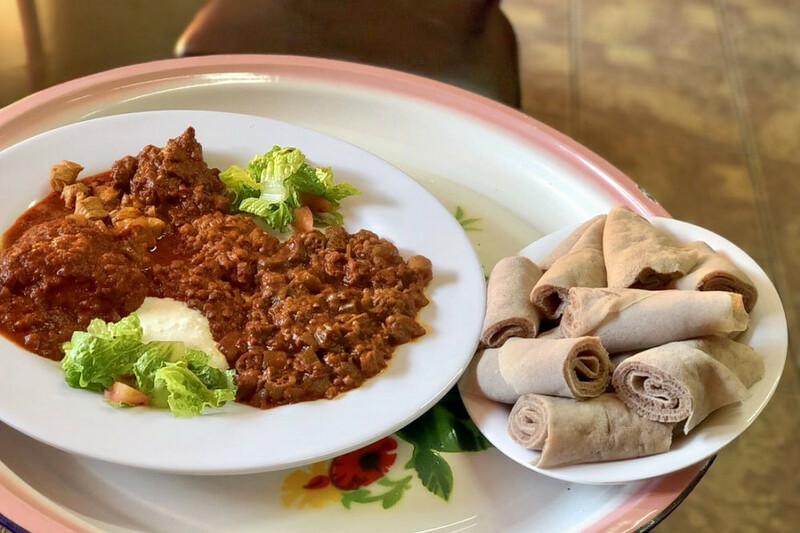 Yelp reviewer Jason P. offers high praise for Assab Eritrean Restaurant, saying the family-run eatery is "a real gem" with a wide array of options and attentive service.